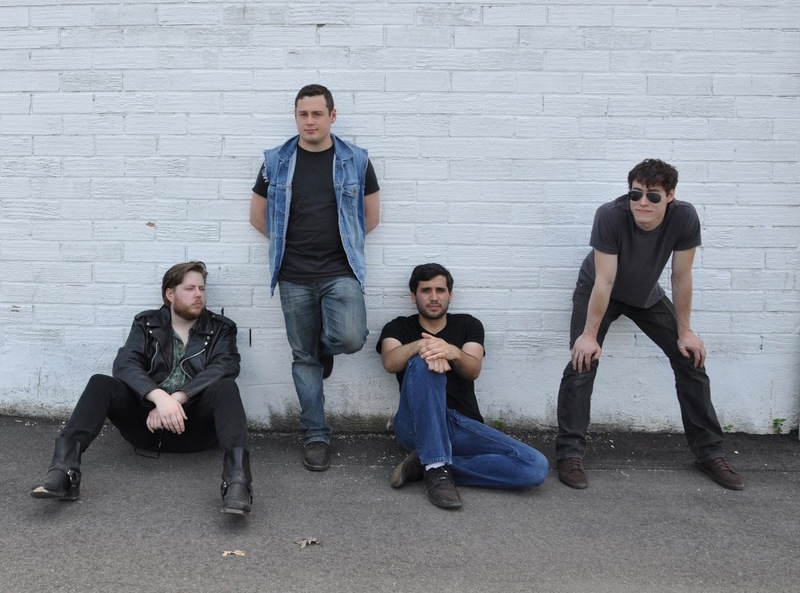 Based in New York, Dangerous Animals are a four piece alternative rock band. Today we'll be talking about their recently released EP 'Thick Thieves On The Bricktops'. Intriguing guitar phrases are combined with fragments of drums to open the EP on first track 'Confusion'. After you've gotten used to the quiet guitar, the track bursts open with the crash of drums and a roar of added guitars. Layered on top of this is the raw vocal of Mike Holler. In the band's words, this is a song about waking up not knowing where you are and trying to piece together what happened the night before. The chaotic melodic mix of guitar and drums on this track demonstrate this inner turmoil very well. Next up is the more up beat 'Out Of Hand', a song about the tendency to focus on someone's/a band's look rather than anything beyond. Kicking off with drums that lay down a more dance orientated rhythm, the familiar overdriven guitar soon enters as well as a cleaner atmospheric vocal. I particularly like the guitar solo towards the end of the track. I was immediately interested when I read this next title - 'Stepping Stone'. Unlike the tracks that go before, 'Stepping Stone' begins with an almost naive, shy, quiet picked guitar pattern - an oasis of calm. A clean electric guitar part is added as well as drums that compliment the initial guitar part well. These are some lyrics from the catchy chorus that illustrate the song's meaning - a relationship that you should probably get out of but can't seem to let go of. A heavy bass with dramatic drum crashes creates an heir of mystery and intent at the beginning of penultimate track 'Keep My Cool'. In contrast to the rest of the EP, 'Keep My Cool' is spoken instead of sung which creates an interesting layer to the hostile vibe already created. Drums create a sense of panic and anger throughout the piece as they continue to get louder and louder. In the band's words, this track is about being pushed to the limit by people intent on hurting you but stepping back to eventually make the right decision. Overall, 'Thick Thieves On The Bricktops' is an intense EP with a message, filled with a range of great guitar patterns and manic drums. Find out more about Dangerous Animals here.